Eek!!! Shocking photo – we obviously got carried away with the mash. Ok … the name does not sound very enticing and the photo is a shocker but dinner tasted so good I have decided to press on regardless. I have had rabbit with mustard once before but I am sure the last time I had it it would have been called lapin à la moutarde. Now that sounds better – much more sophisticated. Those who have been reading this blog for awhile will remember a few years ago we had a young, strikingly handsome and extremely personable French chef, Pierre, stay with us. He was a tourist who worked for food and accommodation. Since he was a chef, on occasion, he offered to cook for us. One night, he said he would cook and I asked him to cook a rabbit I had. He asked for cream and mustard, used a few things from the pantry and we had lapin à la moutarde with a savoury carrot cake. It was to die for. Last week, I was in town and, as I walked past the butcher, without forethought, I went in and asked if he had a rabbit. He did, but it was frozen. As this is a country town, one can’t be fussy so I took the frozen rabbit home. I was a little excited. That was until I realised he had probably had that rabbit in his freezer for the good part of a year. That rabbit needed to be cooked, soon. There are advantages and disadvantages of having a blog. The biggest disadvantage is you have to keep trying new recipes with the hope one might be post worthy. That means you can’t cook your favourite dishes over and over again. Anyway, the biggest advantage of writing a blog is you get to try new recipes you would not normally have tried. I typed in “rabbit” in Eat Your Books and zeroed in on this recipe. As soon as I read it, I knew it was what Pierre had made. I am glad to report mine was as good as Pierre’s. It is very simple to make, the only annoying part being that you have to brown things first, which does take a bit of time but, once done, it is ‘everything into the pot’. The recipe said to serve it with boiled or mashed potatoes. I went for mash as you can see from the mountain in the photo. Had I not wanted to take a photo, I probably would have just put the potatoes into the pot with the rabbit, making it a one-pot meal. The recipe serves four. We had it for two dinners. Remember, though, rabbits are pretty lean so it may not be enough for four big meat eaters. If you have guests, you may wish to buy two rabbits, serve the rear legs and saddle and keep the front legs for another time. 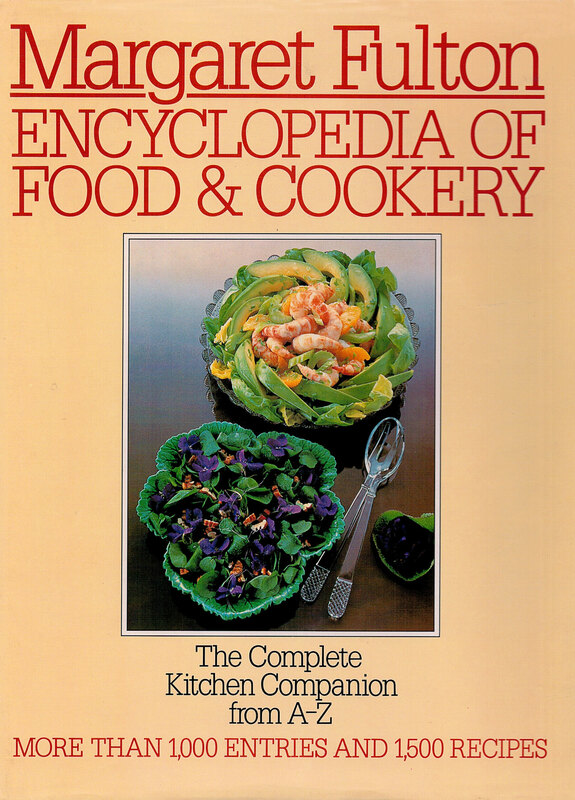 This recipe is from Margaret Fulton’s 1983 book Encyclopedia of Food and Cookery. I have no idea how I acquired this book but it is a beauty. It was probably an Op Shop find. I haven’t had it long and I have already made several recipes from it. 1 bouquet garni or … (I do have bay leaves, rosemary, oregano and thyme in the garden but it was raining heavily and was dark and cold. I wasn’t going outside for anyone so I just used a bit of dried mixed herbs. It was just Maus and me, so no one knew). Lightly dust the rabbit pieces with the seasoned flour and set aside. Cook the onions in the butter and oil in a sauté pan for 3 minutes then set aside. Add the rabbit and bacon to the pan. Brown the rabbit on all sides. Pour in the stock and season with salt and pepper. Add the mustard and bouquet garni. Return the onions to the pan and simmer, covered, for 1-1½ hours or until the rabbit is tender. Remove the rabbit to a heated dish, discard the bouquet garni and, if necessary, reduce the sauce by fast boiling. This seemed like a little too much effort so I just let it simmer with the lid off whilst the vegetables were cooking. When ready to serve, remove from the heat and add the cream and parsley. Adjust the seasoning, if necessary. 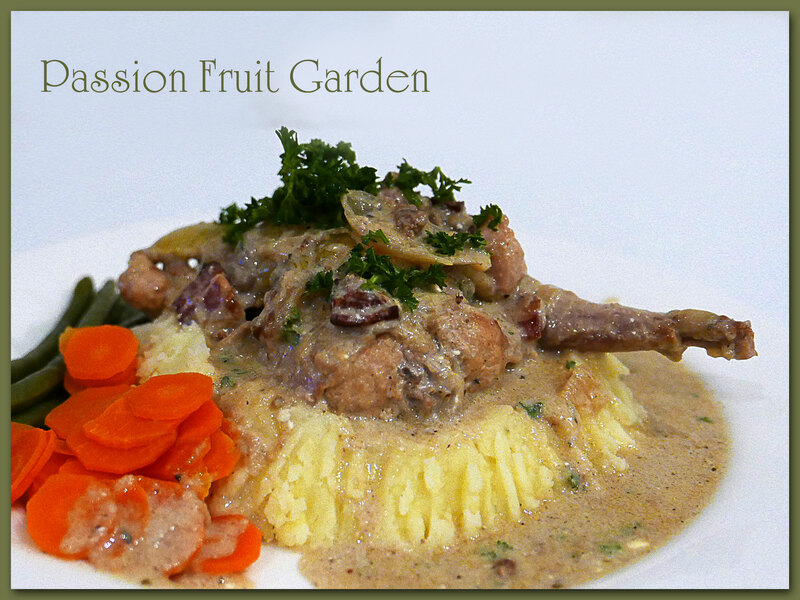 Pour the sauce over the rabbit and serve with boiled or mashed potatoes. This entry was posted in Rabbit, What's for dinner? and tagged lapin à la moutarde, Rabbit - French way by Glenda. Bookmark the permalink. I love rabbit, though it is very under loved by the rest of Australia. I can’t be bothered cooking it with the pfaffing about with bones and making sure it’s not overcooked but I do always order when I see it on menus (which is rare). A favourite memory for Mr Tiffin and I was a wonderful rabbit dish with a chocolate/blood sauce in the South of Spain washed down with a bottle of good red for less than 10e. The mash potato is very ‘Close Encounters’. Hi Fiona, I think you are referring to the possibility of the rabbit being dry but this doesn’t happen if it is braised. You should try it again. 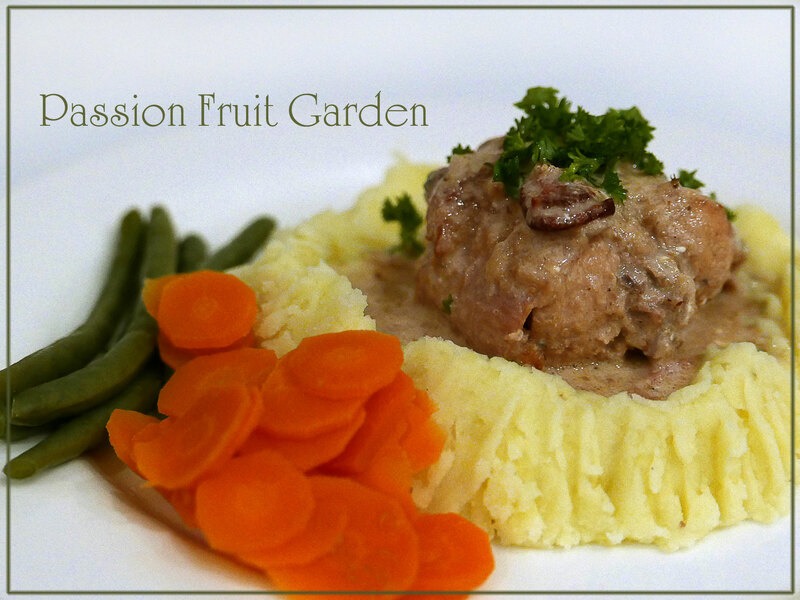 Another rabbit recipe to stash away for the autumn – it sounds good. Sometimes it feels as though you and I are the only ones that cook and eat rabbit Glenda. Anne, we are. I can’t get anyone else excited. Out of interest, do you ever cook rabbit without bacon? Yes, I often cook it with bacon, mainly because our wild rabbit needs a bit of fat added. Hi Yvonne, I am so glad to hear that. I don’t know why we don’t eat a greater variety of meat. I would love to present rabbit at a dinner party but so few are willing to try it. The photos were bad, bad, bad. 🙂 Oh well, that is life.